Brendon DeMay advises finance, technology, retail, and media clients in contractual, securities, and antitrust matters in federal and state court litigation and arbitrations. He also has significant experience in private litigation and government investigations into insider trading and securities fraud. He currently represents investors and bank trustees in RMBS repurchase litigations, and he also represents PetSmart in a dispute with lenders regarding $8 billion in debt obligations. As a member of the trial team in the Lehman Brothers RMBS bankruptcy dispute, he helped obtain a $2.4 billion verdict for investors. 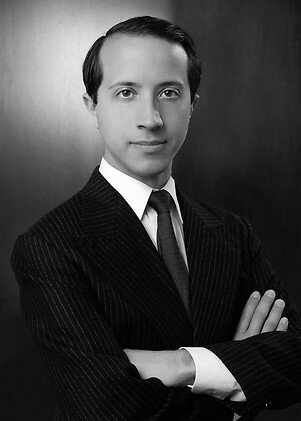 In his past pro bono work, he has represented indigent parties in appellate, housing, and family law matters. He has been recognized as a top litigator under 40 by Benchmark Litigation. Prior to joining Holwell Shuster & Goldberg, Brendon was a litigation associate at Cravath, Swaine & Moore LLP and clerked for Chief Judge Vaughn R. Walker of the United States District Court for the Northern District of California. Before becoming a lawyer, Brendon appeared in numerous professional productions as an actor and was nominated for a Joseph Jefferson Citation for Best Actor. Visa Inc. in indemnification dispute in connection with antitrust investigations and related litigation in Europe. Global banks in RMBS fraud litigation and CDO bankruptcy proceedings. National retailer in private lawsuits and criminal and civil investigations by the United States Attorney, SEC, and NYSE related to insider trading and securities fraud. Major bookseller in antitrust investigations by the Department of Justice and state attorneys general relating to e-books, as well as antitrust and patent litigation over e-reader technology. Major pharmaceutical company in litigations alleging violations of Section 1 of the Sherman Act. Large technology company in high-stakes arbitration against one of its most important customers. Large chipmaker in patent litigation against a top rival. Large health care companies in defeating various M&A shareholder litigations.